A New York magazine piece on featured soon-to-be Hall of Fame wide receiver Andre Reed detailing his distaste for rumored new Bills owner Jon Bon Jovi and rookie quarterback Johnny Manziel. Since the death of previous owner Ralph Wilson last March, the Bills are essentially up for sale. Bon Jovi, who has ties to the NFL through numerous relationships with league figures including Patriots owner Robert Kraft and commissioner Roger Goodell, is one of the potential Bills owners. Maybe it’s his Patriots ties or the fact that he is a lifelong Giants fan, who just happened to be on the sideline in Tampa during Super Bowl XXV when Reed’s Bills fell by a point to the Giants. Either way, that’s not exactly a sign of goodwill. Reed soon turned his ire to Johnny Manziel. However, “Johnny Football” has done little to catch Reed’s eye. 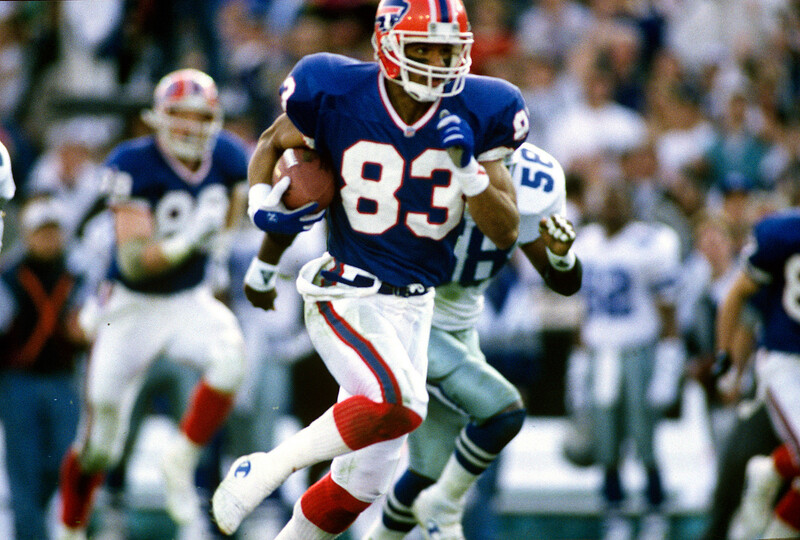 Andre Reed will be inducted into the Pro Football Hall of Fame on Saturday night in Canton, Ohio. Worst Dancer: Peyton Manning Or Tom Brady?